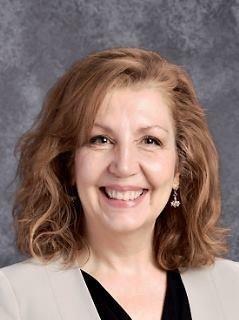 Newton County School System is pleased to announce that Melissa Daniell has been named the new principal of East Newton Elementary School, effective December 3, 2018. Ms. Daniell earned a bachelor of music from Shorter College and pursued graduate studies at the University of Georgia. She received her master’s in educational leadership from NOVA Southeastern University in 2008 and an education specialist degree from Valdosta State University in 2016. Ms. Daniell began her career in education in the Newton County School System as a paraprofessional at Livingston Elementary School in 1987. She later served as music specialist at Livingston, Porterdale Elementary, Fairview Elementary, and Mansfield Elementary. After a one-year stint in advertising sales for a publishing company, Ms. Daniell returned to the classroom as a kindergarten EIP teacher at Middle Ridge Elementary School. After two years, she transferred to Fairview Elementary School, where she taught third grade and third grade EIP for six years. She then served one year as a third grade EIP teacher at Live Oak Elementary School before her promotion to assistant principal in 2010. "Hello East Newton Families!" I am extremely happy to be a part of East Newton Elementary School with each of you! I look forward to building some great relationships and supporting the vision that is already established. The 2016-2017 school year is my twelfth year as an Assistant Principal in the NCSS. This marks my 32nd year in education. I have thoroughly enjoyed every moment of my job and being able to make a difference in the life of students, teachers and this great community. I believe that building solid relationships/ partnerships between school, students, parents, and the community is key to building a strong school community and providing successful learning experiences. I attended school in NCSS at East Newton, Cousins, Ficquett, Sharp MS and Newton High School. I count it all a blessing to be able to work in a school system that has given so much to me. I'm coming home to East Newton where it all began. That's totally exciting for me! I am a graduate of Georgia Southwestern University, Piedmont College, and Capella University. I have two sons, Jamon and Taylor, both graduates of Newton High School. Jamon graduated from Georgia Southwestern University, my college Alma Mater in 2013, and Taylor is a rising Junior at Reinhardt University. They are the wind beneath my wings. "If you doubt you can accomplish something, then you cannot accomplish it. You have to have confidence in your ability, and then be tough enough to follow through. "